HY-C GALVANIZED CHIMNEY CAP 9" x 9"
Hy-C BLACK GALVANIZED chimney caps. 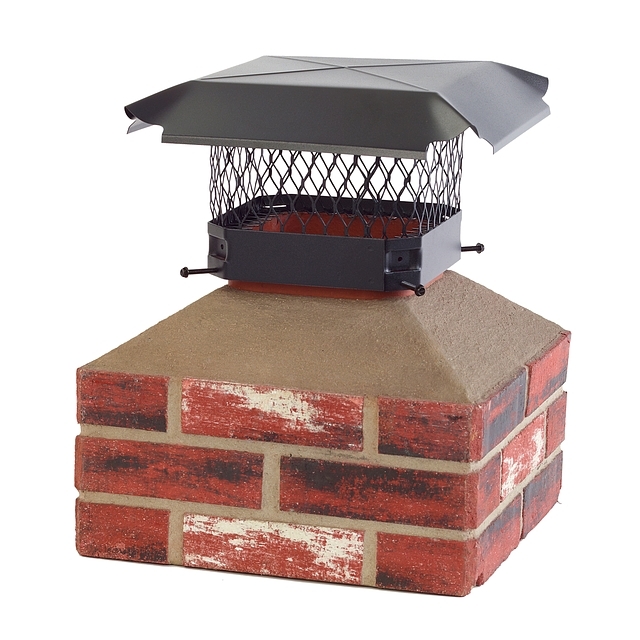 24-gauge single piece steel hood, 14 gauge steel base, 18 gauge 3/4" expanded steel mesh. Attractive black powder coated paint finish. Slotted hex-head bolts. Expanded metal mesh turned inward at base to allow cover to rest firmly on the tile, closing any openings around the tile. Outside mounting provides greater free air-space for better draft.